If you are a professional and licensed medical health care professional, possesses the dedication towards caring for our patients, and well-trained in providing health care then you are what we are looking for. 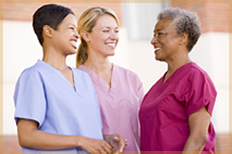 Be a part of our family in Best Hope Home Healthcare, LLC. Submit the completed form below and we will contact you the soonest time possible! Returning applicants, please log in below.